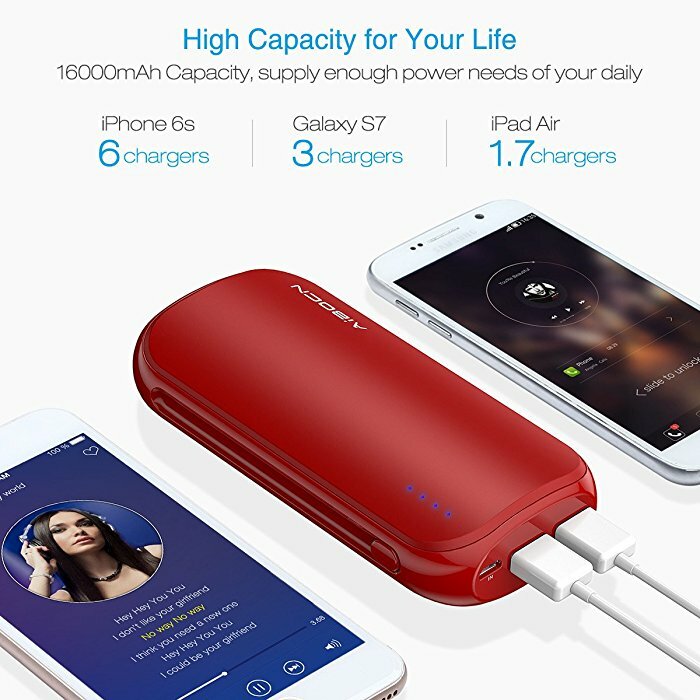 The high power portable charger comes in handy for iPhone, Samsung, HTC, LG, OnePlus smartphones. 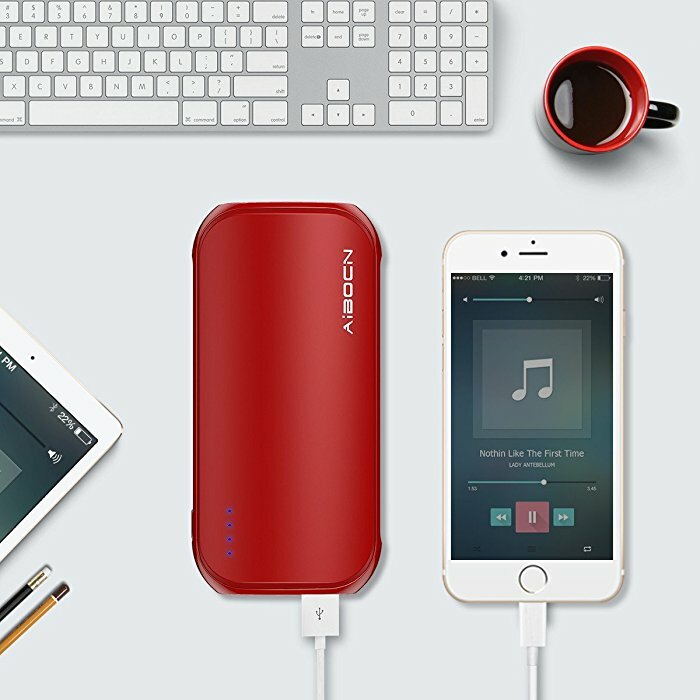 The brand-new red version large capacity power bank can hold 6 solid charges for an iPhone 6s, or 3 charges for a Galaxy S7, or enough for one charge for iPad Air. 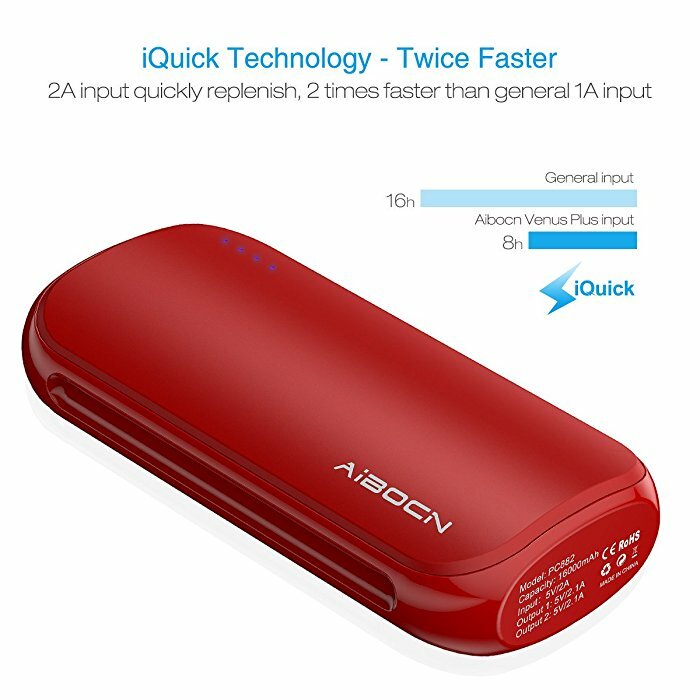 The power bank has 2 efficient high output USB port, 2.1A charging current per port; 1 quick input port, 2A charging speed. The fashion power bank is sturdy, small and lightweight. 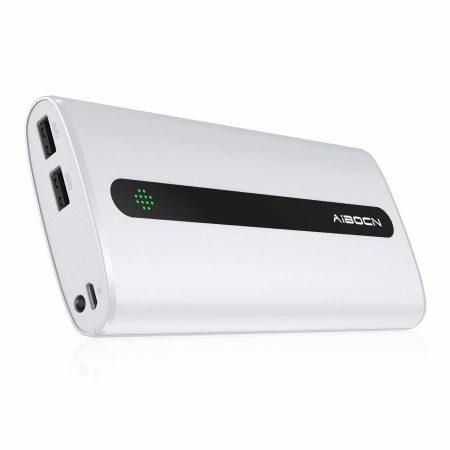 It’s a perfect portable battery pack to take with you for business trips, traveling, backpacking etc. 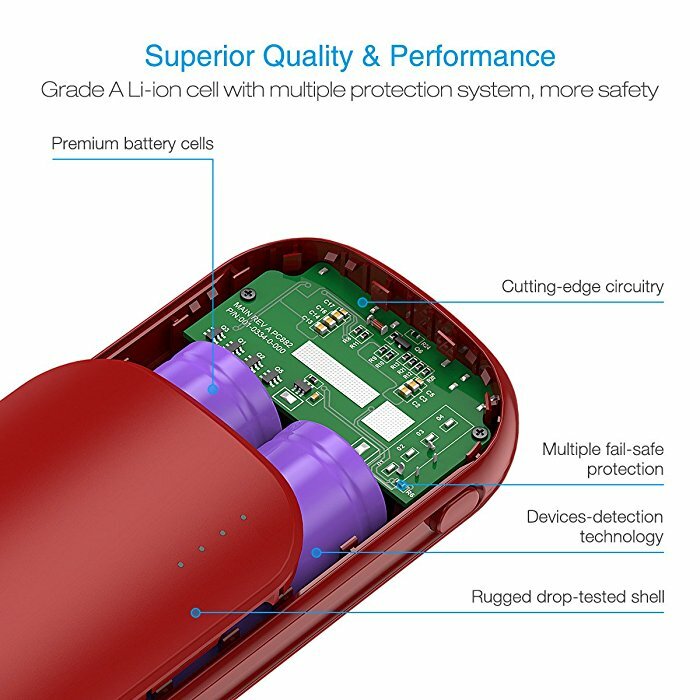 The high performance power bank guarantees absolute safety for charging. It has protection from overcharge, over discharge and short-circuit. 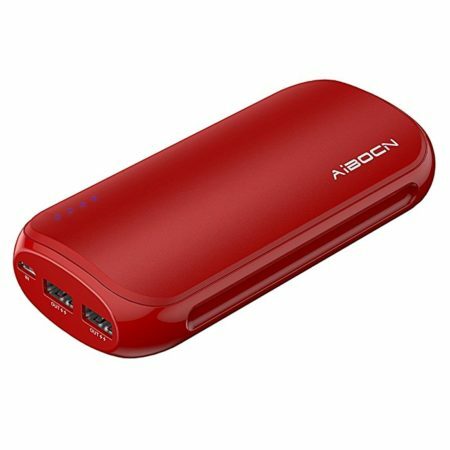 This portable cell phone battery charger has a bright Christmas red color. It’s a trendy power bank with a portable size. The beautifully finished surface is made rounded for easy carrying. 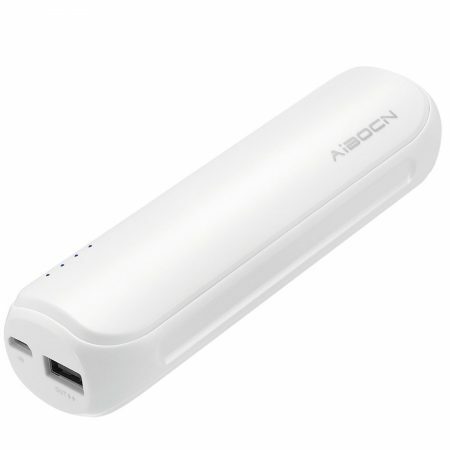 It’s one of the best USB battery packs that can charge various USB devices, mobile phones mostly, rapidly. 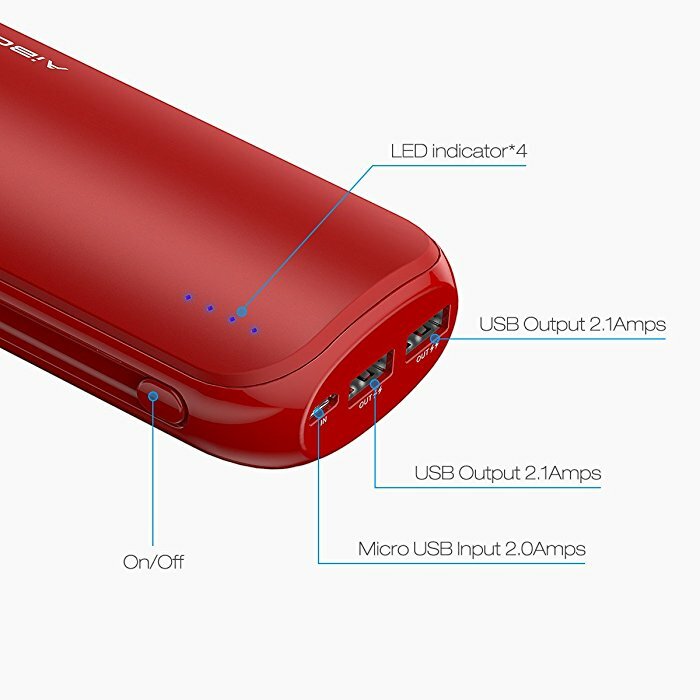 The power bank has 2 USB ports, 2.1A per port, for charging 2 devices at the same time effortlessly. The maximum output current can reach 4.2A in total. It has a quick input port, up to 2A, saving you much time charging the power bank itself. The external battery charger contains quality Lithium battery cells inside. 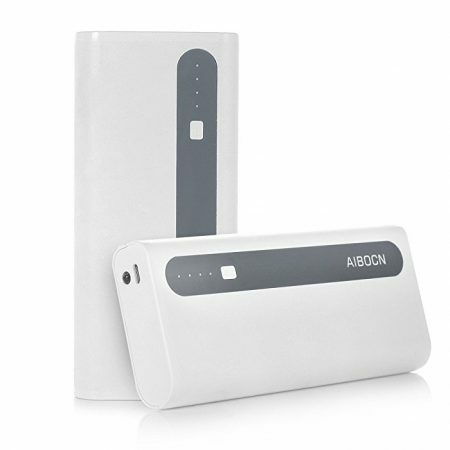 The power bank is equipped with intelligent protection to guard against overload, over discharge, short-circuit, excessive current and voltage. 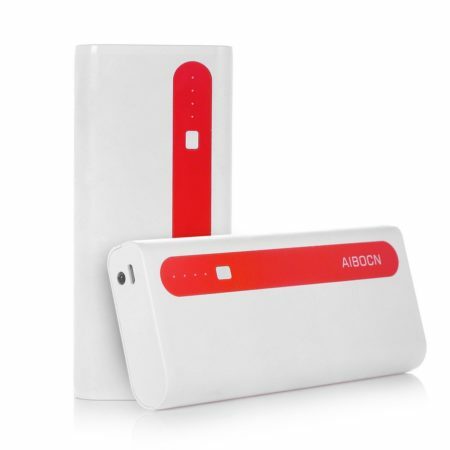 The power bank is well protected to charge USB devices safely and efficiently without issues. Automatic shutdown function will effectively prevent any malfunction or damage. 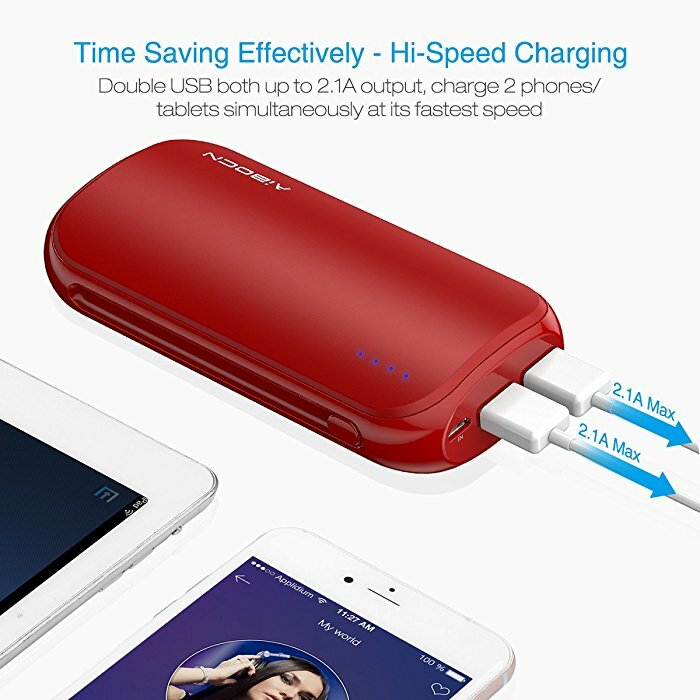 The portable power bank is widely compatible with almost all USB devices, smartphones and tablets. You will find it ideal for Apple, Samsung, Google, Huawei and more other smartphones and tablets on the market.